When you were single and living for yourself, it was okay to choose the fastest car on the market, regardless of safety or size. But having a family causes us to shift our priorities, and whereas before we might have gone for the sleekest two-door on the market, now we want something a little safer and more functional. Something with a roomy interior (so that the kids aren’t constantly elbowing each other), and a good infotainment system (because nothing keeps the silence better). But that doesn’t mean you have to jump straight to the old sliding door minivans. 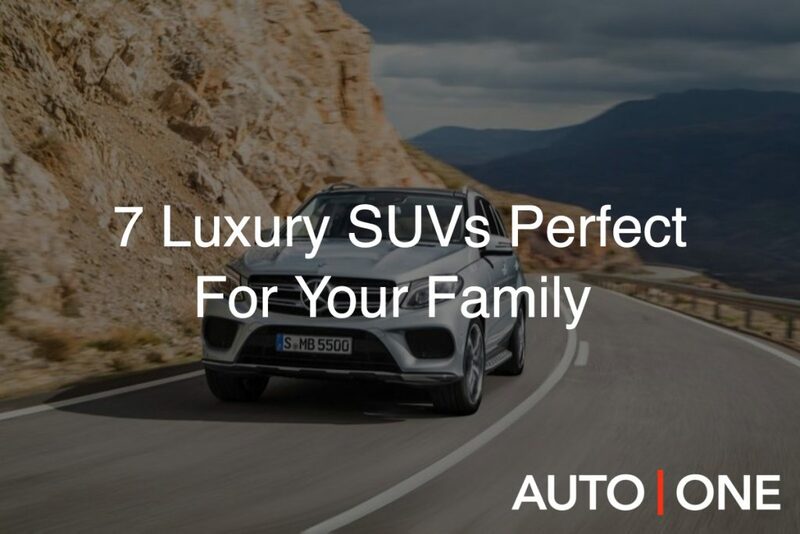 It is still possible to buy or lease a luxury SUV that looks great, drives impeccably and yet has all the roominess and safety specs a family could hope for. Alternately, you can join our car subscription service, and get a luxury SUV only when you need it. Say you’re a grandparent and only need an SUV when the clan comes to visit; or say that your family is only living in a city temporarily, as you fulfill a contract term. If you need a vehicle for your family quickly and easily, without the bureaucratic headache of leasing or buying, we suggest you learn about our car subscription service through our website. The only question that remains is: which SUV should you choose? To make the decision a little easier, we’ve compiled a list of seven luxury SUVs (some 5-seaters and a couple 7-seaters), each with their own luxurious look and feel. This crossover SUV proves definitively that you can have your cake and eat it too – or, more specifically, that you can have a 7-seater that looks great too. The Second Generation, which made its world premiere in 2015, pioneered the Predictive Efficiency Assistant, a feature that collates data from the navigation system, Adaptive Cruise Control and traffic sign recognition to alert you of real-time dangers on the road. It’s a terrific option for families looking to get around safely in a city. And if you’re looking to lease a luxury car in Vancouver, Halifax and Toronto but don’t quite have the numbers to justify a 7-seater, check out the Audi Q3. We have a number of BMW X5’s in our fleet, including the eDrive version, an environmentally friendly hybrid that offers a 23 city/ 24 highway fuel economy. Whichever X5 you choose, though, you’re in for a treat. This is a car that comes loaded with great infotainment options, great safety features and a noted emphasis on handling and driving dynamics, making an all-around fantastic car – not just for the kids in the back, but for the driver behind the wheel too. Our X5’s, at the time of writing, start at $491/month, which is an amazing deal for any BMW, let alone an SUV of this calibre. You want big. We’ve got big. The ESV (short for Extra Stretch Vehicle) is a hulk of a car, with 22” wheels, a 6.2L V-8 engine and roominess in all its three rows. This is luxury fit for an entire royal family, with ample entertainment options, including rear DVD players, as well as a standard leather interior with climate control. At AUTO ONE Group, we currently have a used Escalade ESV that is accident-free, well serviced and – importantly – less than half the price of a new one. Check out the reviews that people have left for this particular year’s Escalade ESV – they are absolutely glowing. Infiniti – the luxury division of Nissan – knows how to make a good crossover SUV, and the QX60 is evidence. You’re spoiled for features with this car, and they’re all bolstered by a 3.5L V-6 engine (for the standard version) or a 2.5L Inline 4 (for the hybrid version). It’s a 7-seater, but it doesn’t look like a 7-seater; its sleek exterior and compact design manages to keep a svelte shape, even while delivering interior roominess. Need something that will handle as agilely off-road as it can on-road? The Range Rover Sport’s 4-wheel drivetrain, 510 horsepower and 5.0L V-8 (an option not present on all Ranger Rover Sports, but we have one in our inventory) make it a formidable presence on the road. And the rear-view camera, 360-degree camera, park assists and blind spot monitoring make it a safe pick as well. 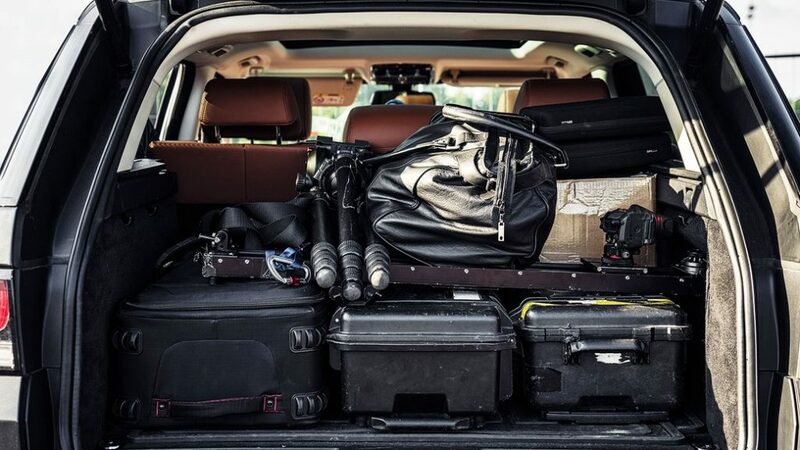 And you can’t beat that truck space either, which has ample room for a family road trip. It’s not often you find a big family vehicle that is also a hybrid, but the Mercedes Benz GLE 550e successfully bucks the trend. The combo of gas and electric has a powerful peak output of 436 horsepower and 479 pound-feet of torque. Couple that with the ample features – the front and rear sensors, blind spot assist, 360-degree camera, rear back-up camera, LED intelligent lighting system and active brake assist, to name just a few – and you’ve got an incredibly well-rounded luxury family SUV. To get your hands on this SUV, whether with a lease, financing or through Drive, our car subscription service, start by visiting the AUTO ONE Group website, or give one of our representatives a call. So named for the famous chilli pepper, this luxury SUV has a similar tapered appearance and fiery performance. With its superior handling, powerful engine and stylish body, it’s like having a Porsche 911 that can also accommodate your family. It’s an amazing car, but certainly, not one that you would want to buy new (its price is firmly in the 6-digit range). Instead, visit us here at AUTO ONE Group and we can get you a great monthly lease price on the Cayenne, the hottest Porsche on the market. You don’t have to sacrifice awesomeness for practicality and safety. Each one of these seven cars offers the perfect blend of power, style, safety, roominess and luxury, all at amazing monthly prices. Buy or lease one today, or check out our car subscription app for how to lease month-to-month.